The TITAN MACQUARIE MUD RUN will challenge you, inspire you and be lots of fun! Your grit and determination will push you through the 20+ obstacles including the soon to be infamous MUD MANIA!!! River crossings, barbed wire crawls and tyre carries will test you while the mud pits will be downright dirty and leave you in fits of laughter. Complete one lap of the 9km course or enter for unlimited laps! 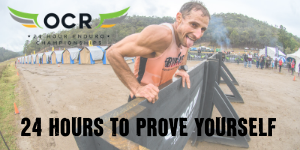 Put together a team, come as an individual, enter for fun or enter to see what you are really capable of - either way you will walk away with your t-shirt, medal, cold beer (soft drink for under 18's), a sense of achievement, awesome memories and stories to last a lifetime. Party on afterwards with the live music, bar and food. There will be prizes for teams and individuals. Dress up for fun or come ready for action. The Titan Macquarie Mud Run is a non-profit event to help raise money to improve and add to the riverbank trail.